British independent filmmaker, Christopher Riley, is releasing his hit Internet film ‘First Orbit’, as a multi-language DVD and Blu-ray, in time for the global Yuri’s Night screenings, on the 12 April 2012. 12 April are a available from www.firstorbit.org. 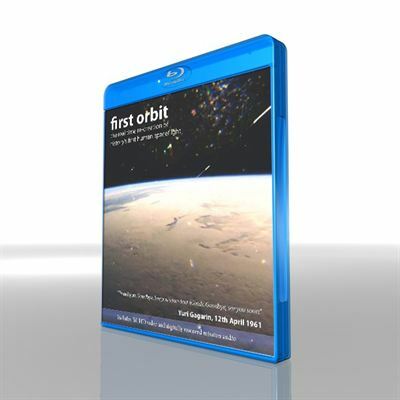 The DVD or Blu-ray version of First Orbit can be purchased online through Amazon or direct from www.firstorbit.org. The original 2011 version of the film with English subtitles can still be watched online through the project’s YouTube channel: www.youtube.com/firstorbit. Yuri Alekseyevich Gagarin was a Soviet cosmonaut who, on 12 April 1961, became the first human to journey into space, launching to orbit aboard the Vostok 1 spacecraft. His call sign for the flight was 'Cedar' - meaning Siberian Pine. Ground Control identified themselves as Dawn. Unsure of the effect of space flight on a human being, the spacecraft's controls were run by an automatic system, with Gagarin only permitted to take control in an emergency. The flight of Vostok 1 began at 06:07 Universal Time (UT), boosted into orbit by a Vostok-K series rocket. Since the Vostok 1 capsule's parachute landing system was deemed too rough for a cosmonaut to risk riding back to Earth Gagarin ejected whilst still seven kilometres above the ground. He made his final descent on his own parachute and landed at 07:55 UT, having flown right around the planet in just 108 minutes! Christopher Riley Director and Producer – First Orbit, worked on data from NASA’s early Spacelab 1 Shuttle mission for his Ph.D. at Imperial College, London, before embarking on a career making science documentaries for the BBC. He has worked with the NASA film archive for the past fifteen years on projects ranging from the BBC’s landmark series ‘The Planets’ to his highly acclaimed feature documentary film ‘In the Shadow of the Moon ’ and his unique restoration project of NASA’s classic documentary Moonwalk One. He is the visiting Professor of Science and Media at the University of Lincoln, in the UK and the founder of the stock footage library Footagevault. Riley created his first video installation from ‘found footage’ for the 40th anniversary of the first Moon landing during the summer of 2009. ‘Apollo Raw and Uncut ’ played in gallery spaces in London and Montreal and was the first time the entire 23 hours of Apollo mission flight film archive had been screened in public.